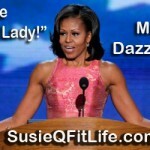 – September 8, 2012Posted in: SusieQ FitLife Breaking News, SusieQ FitLife Updates! StarTrek FitLife Workout Reveal! Is the SusieQ FitLife Family Interested?! 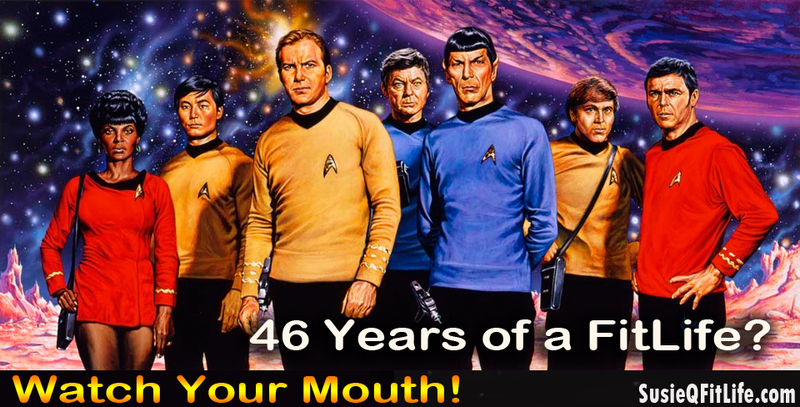 Star Trek Celebrates 46 Years! But, Did They Live a FitLife?! Can You Handle a Star Trek FitLife Workout? Right now our question to you Trekkie Fans or FitLifers is… would you like SusieQ FitLife to reveal a quick Star Trek Workout; including a few healthy Trek filled snacks? Let us know within the comments section below and we will gladly put a spin on a few Trekkie Recipes & Captain-charged workouts to combat fatigue, depression or specifically for the people who have “No TIME to Work Out!”. We can swap ideas and include your thoughts within this article; if you think it’s a good idea. We’ll try to implement Facebook comments & feedback, if it is humanly possible and whether or not there may be an interest. Now, go forth & share the future possibilities! Like Us & Join our FitLife Family! Get a FitLife! In a Flash! Let’s do this SusieQ! I was a die-hard Trekkie fan back in the day – and must admit I spent way too much time on the couch watching the shows. Now I’m working to “Get a FitLife” again and also love to share the news and ideas with others hoping they won’t learn the hard way but rather learn from my mistakes. Anything we can do to encourage folks to “get moving” and “Get a FitLife” is a winner to me!